I made this for dinner the other night. 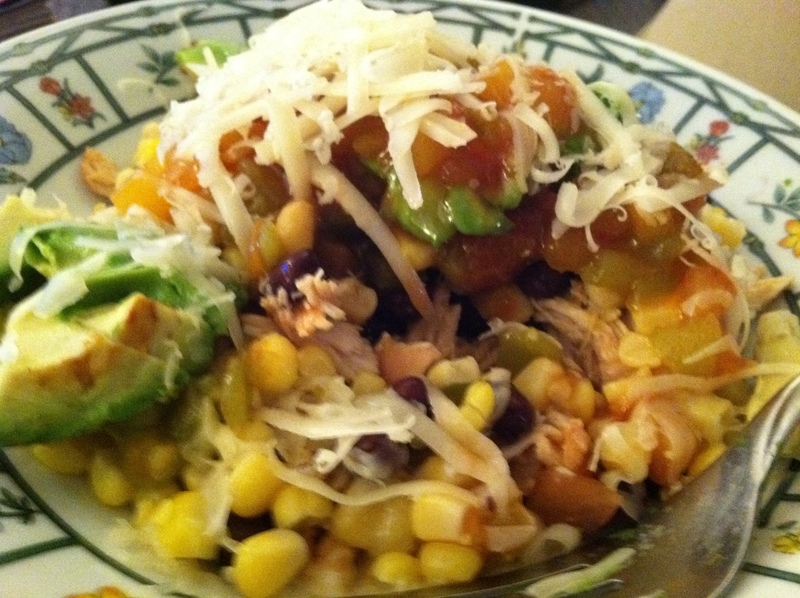 Oven roasted chicken with corn, black beans, green chiles, avocado, mango salsa, and cheese. But it was freaking delicious. That is all. Psst – Don’t forget to check 365 Days of Photography for my daily picture!